Take a second to really let that title sink in, because there’s a lot going on with this National Irish Coffee Week special! 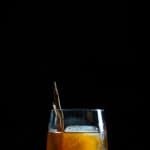 Today I’ve combined Irish Whiskey, with some Barista Coffee Liqueur, Cherry Heering that roughly structures itself to be a classic Manhattan Cocktail. 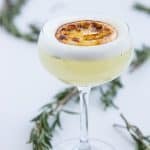 This cocktail surprised me in the most pleasant way and I can’t wait to share it with you today!We have a national holiday for everything, which didn’t surprise me when National Irish Coffee week was coming up. 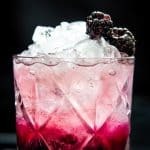 So with this holiday in full swing, I wanted to step out of the comfort zones with this classic and re-construct this cocktail to have the spirit of an Irish Coffee, but served in a very unique and different way. 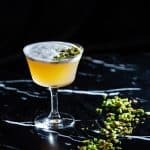 Thankfully, whiskey and coffee go hand and hand like peanut butter and jam, so it wasn’t too difficult to create some outstanding new imbibes. It’s been a while since I’ve worked with Cherry Heering, mainly because I didn’t have it on my home bar. But I finally picked up a bottle for myself and got a chance to experiment with it. For those unfamiliar, this is a original Cherry Brandy based liqueur. Cherry Heering is even a purveyor for the Queen, so if she likes it, I’m sure I’ll be good with it too. 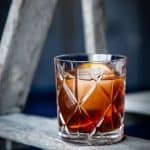 Since I was structuring this cocktail as a Manhattan, Cherry Heering acted as a perfect substitute for sweet vermouth. I used a bit less, since I planned to use Barista Coffee liqueur as well, but we will get to that. I know it can be annoying to have to buy all these different liqueurs for your home bar, but this is definitely a bottle that you WILL use for A NUMBER of occasions. 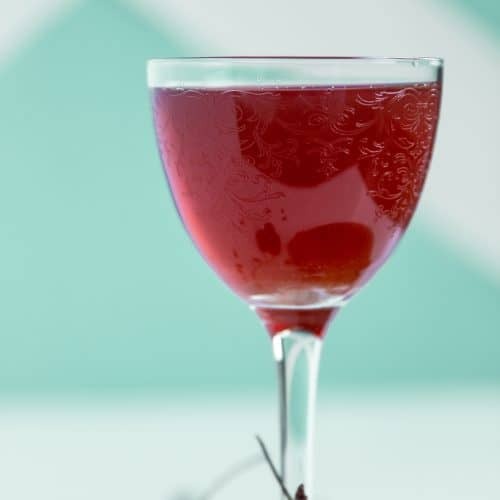 From tiki cocktails, to sophisticated sips, there’s always a place for Cherry Heering. Now when it came to choosing an Irish Whiskey, I’m somewhat limited in my knowledge. We don’t have a ton of options when it comes to Irish Whiskey’s available in Ontario, but one of my favourites would have to be Tullamore Dew. Yes, that means you have to upgrade your Jameson. This is a spirit forward cocktail, and Jameson just wouldn’t work for this Manhattan PLUS it would be much too sweet. Some other great examples of Irish Whiskey’s would be picking up bottles from the Walsh product line (Writer’s Tears and The Irishman). They have a long, rich history when it comes to reviving the Irish Whiskey name amongst the Whiskeys of the world, and they have special blends and single malts available! Last, but not least is the addition of Barista’s Coffee Liqueur. I will always be a big fan of this product. You don’t need much for it to go a LONG way, which is why this liqueur always comes in handy when Coffee Bitters just won’t cut it. I wanted a rich and velvety addition with the Cherry Heering, and I knew Barista would do the trick! Stir all this and you have a sophisticated Irish Coffee Manhattan that you can enjoy at any part of your meal. 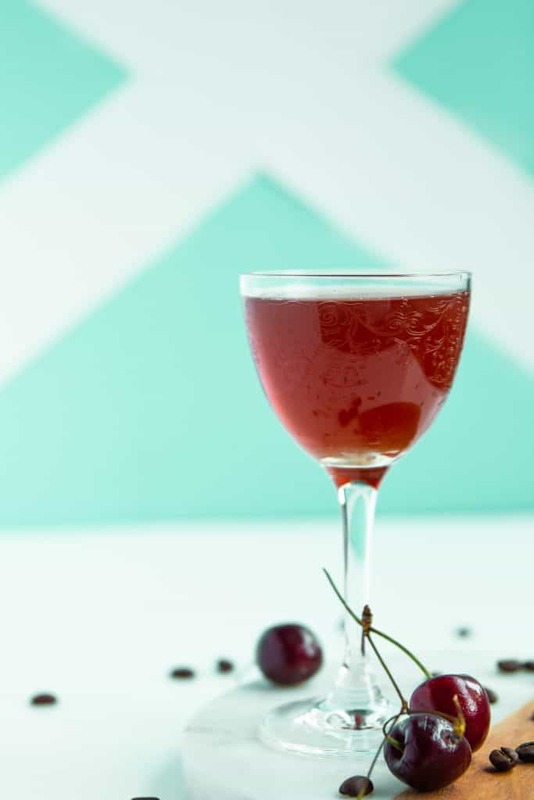 A sophisticated manhattan inspired by the flavours of an Irish Coffee, paired with Cherries! Muddle Cherries in a mixing jar and add the rest of the ingredients.